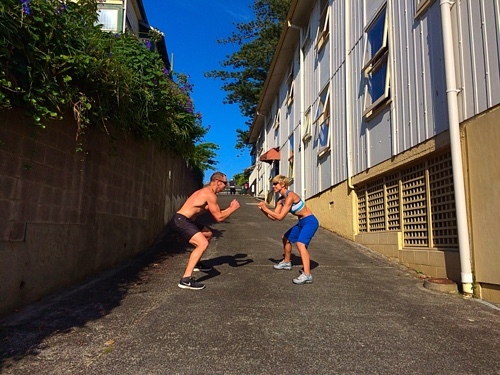 Workout: Lower Body Hill Workout – Auckland, NZ | Fit Family Robinson | The world is your gym. 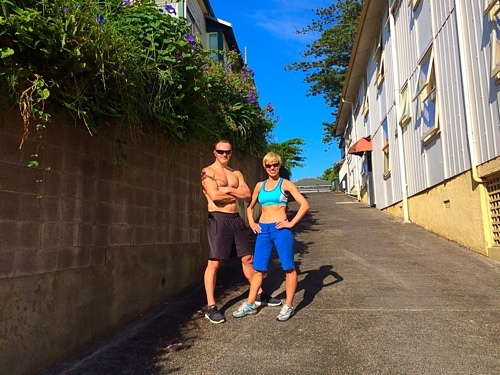 We arrived at the Parnell Inn in Auckland, New Zealand and were greeted by a nice, steep driveway. Perfect to really hit the legs. Oh, and it was Valentine’s Day, what better way to celebrate? Optional: increase difficulty by keeping arms outstretched like airplane wings. Start at the bottom of the hill, standing sideways to the hill. Repeat 2 times then switch to LEFT leg. Jog 3 times up and down hill. 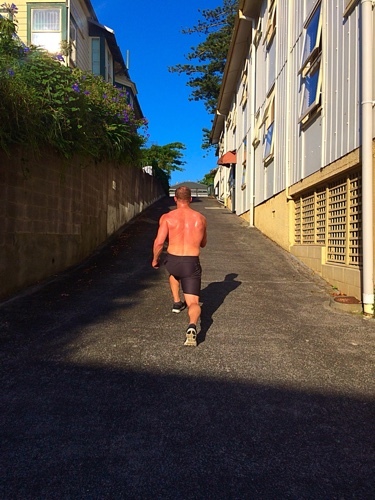 For increased difficulty, sprint the uphill and jog down. We had a fire escape to work with at this location so we did 3 trips up and down, taking two steps at a time. 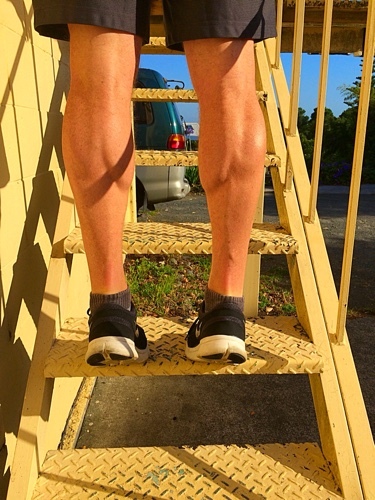 Keep your mind engaged by changing the lead leg (the one you start the climb with) each time. Hang from a bar (or steps in this case) and pull the knees up to the chest. 3 sets of 15 reps.
Dad. Husband. Writer. Nice guy most of the time. Likes bikes (pedal or motor), boats (paddle or motor), beaches and baseball.